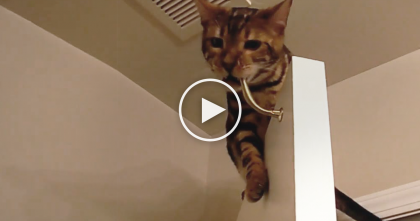 Kitty knows just what to do to get the goods, and you’ve just got to see what he can do! This is hilarious! What a great team effort. 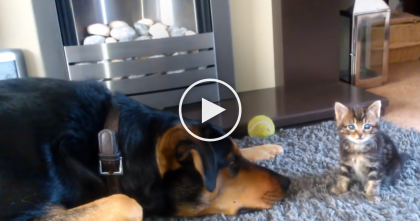 Kitty is too smart for this dog—SHARE this funny video with your friends! 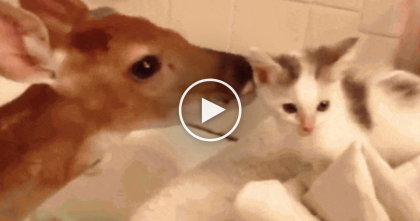 Rescued Baby Deer Meets Kitten For The First Time, Just Watch What Happens… Awwww!! 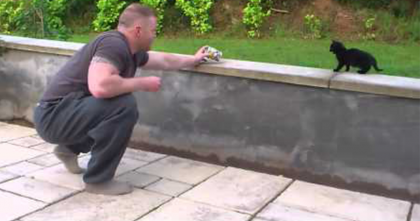 Guy Spots Tiny Black Feral Kitten, But When He Starts Meowing At It… Watch The Response!